As many other Java concepts, Interfaces are derived from real-world scenarios with the main purpose to use an object by strict rules. For example, if you want to turn on the washing machine to wash your clothes you need to press the start button. This button is the interface between you and the electronics inside the washing machine. 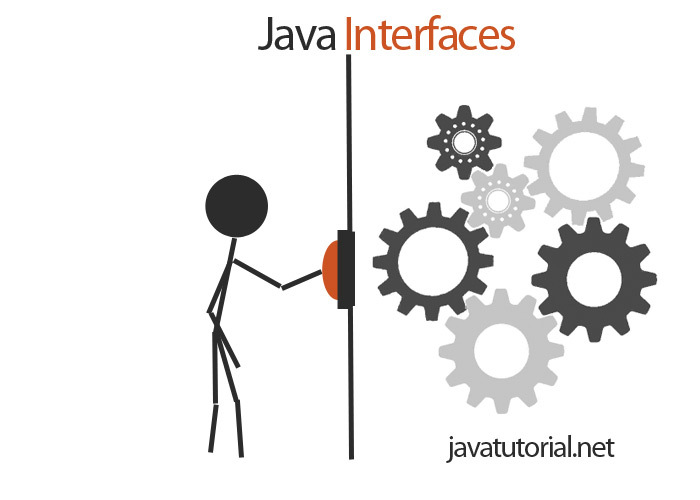 Java interfaces have same behaviour: they set strict rules on how to interact with objects. 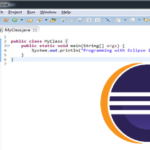 To find more about Java objects read this tutorial. The Java interface represents a group of methods with empty bodies. Well, it is not mandatory to have a whole list of methods inside an interface – they can be 0 or more… but, no matter the number of methods, they all should be empty. Now we will create a class that implements our interface. To continue with the example we will create a washing machine of specific make that has the start button. We use the implements keyword in the class declaration. We need to implement the startButtonPressed method (give it some functionality) or otherwise our class will not compile. The Samsung washing machine is now running. There is another common usage of interfaces in Java – to tell a object has specific use or characteristics. Lets give one more real-world example. You are a survival in the woods. You find different object and put them in your backpack for later use. When you rest you go through the found objects and eat the once that are eatable. First we create the interface FoundObject with the sole purpose to denote the objects of specific type, so we can put them in the same array. We create the Eatable interface to mark which objects can be eaten. When we create the three objects (apple, raspberry and stone) we put implements FoundObject in the class declaration for all of them, and the one we can eat also implement the Eatable interface. In WoodsSurvival class we first create an array of type FoundObject. 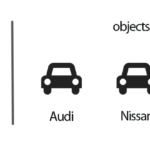 The three object we create later are also of type FoundObject so we can put them in the same array. We can not execute the eat method of a stone object, because it is not of type Eatable. The code example above can be written in more fashionable way using abstract classes, Collections and inheritance. Some of those are more advanced topics and are explained in next tutorials. 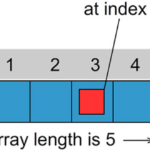 This is a beginner tutorial that intents to explain java interfaces only. Java Basics implements, instanceof, interface, java, java array. permalink.